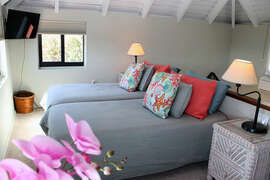 Enter Bliss at Cruz Views through a private, gated courtyard where you will immediately begin to relax and go on 'Island Time' as you relish your own piece of paradise! 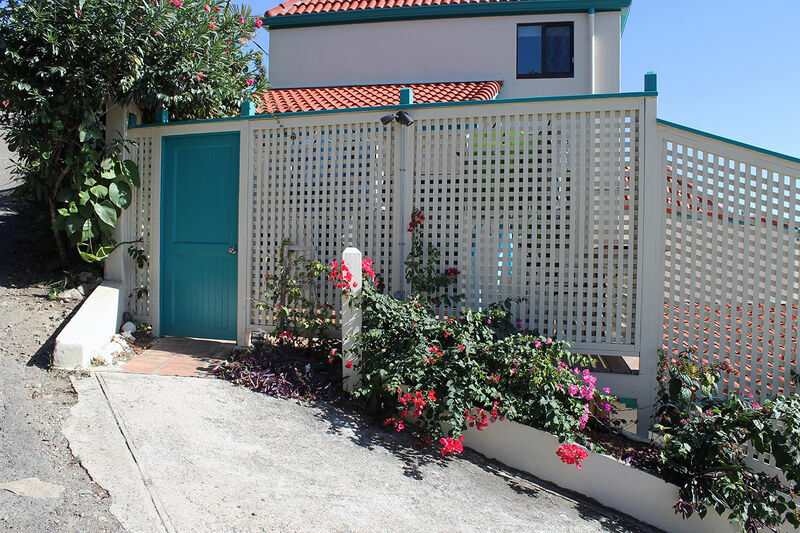 The courtyard features a lovely garden area, a gas BBQ grill and several captain chair stools adjacent to the custom mahogany bar which overlooks the fabulous views of Cruz Bay and the Caribbean Sea. The courtyard is the perfect spot to sip your morning coffee or enjoy the brilliant sunsets after a day of 'beaching' or exploring St. John. A beautiful set of sliding glass and screen doors from the courtyard open into the fully air-conditioned penthouse great room with elegantly appointed living, dining, and kitchen areas. 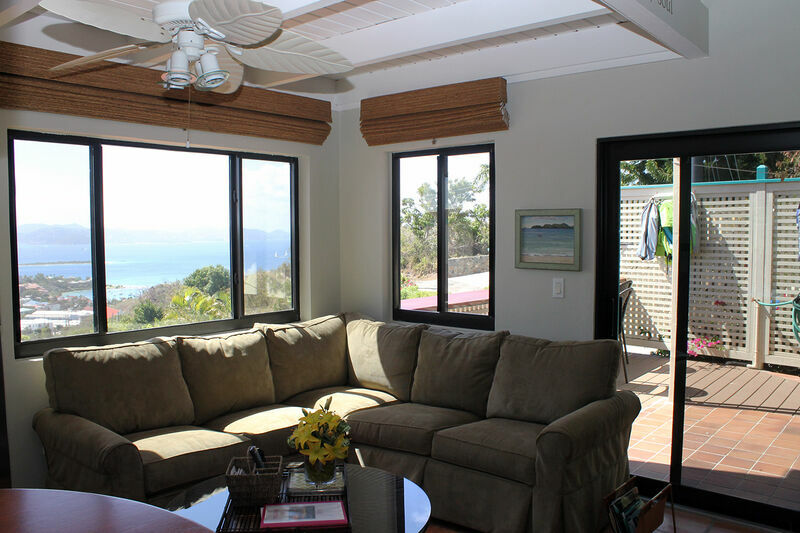 Gaze at the views from the windows in the comfortable living room area where you may enjoy cable programming or DVD movies on the large wall mounted HDTV, or plug your IPOD into the state-of-the-art sound system. The dining area includes a table with seating for four overlooking the private gardens, or two can sit on the bar stools at the kitchen island. 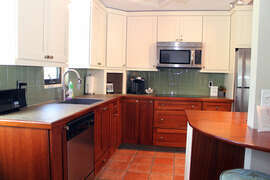 The recently renovated kitchen complete with stainless steel appliances and granite counter tops is fully equipped for packing a lunch or snacks for the beach to preparing a gourmet meal at home. The sleeping accommodations include the separately air conditioned main floor bedroom with comfortable queen bed and wall mounted HDTV and cable service. The light and airy guest loft bedroom is located up a spiral staircase in the great room and features the option of two twin beds or a king size bed. 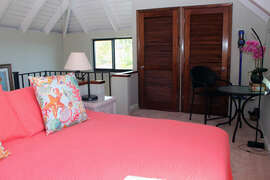 The loft bedroom also has a wall mounted HDTV with cable service and shares the air conditioning with the great room. There is a recently remodeled bathroom which is conveniently located next to the master bedroom and at the foot of the spiral stairs. 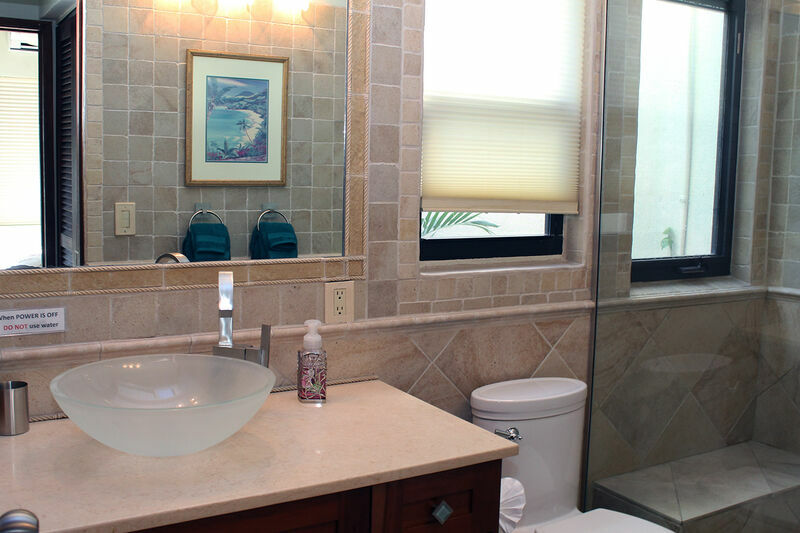 The bathroom features a skylight and a large, glass-door, tiled shower for one (or two) with a private window overlooking the beautiful courtyard garden. 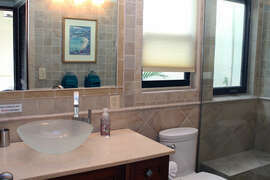 The condo is well-appointed with fine linens, bath and beach towels and offers beach chairs and cooler to take to the beach. 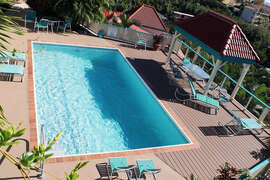 The community pool at Cruz Views is centrally located and is shared only by other owners and guests. For added convenience, Bliss has its own private parking area adjacent to the unit. 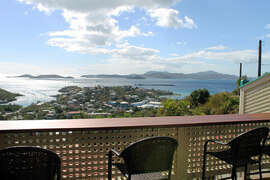 Although renting a vehicle is recommended to best explore all of wonderous beauty of St.John, guests may choose to walk into town as it is a short, downhill walk to the many fine dining and shopping options in Cruz Bay and to take cabs for getting around to our many beautiful beaches. Whatever you do during your fabulous vacation on St. John, your stay at Bliss will be comfortable and convenient providing tropical vacation living at its finest! 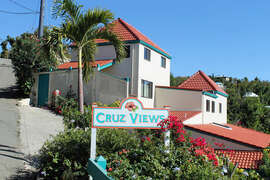 Bliss at Cruz Views is professionally managed and maintained by a duly licensed and insured on-island Property Management Agency. Our staff are ‘locals’ who live on St. John year around who intimately know the island of St. John and specialize in providing unparalleled hospitality services for our guests. We are the experts on St. John and are best equipped to provide knowledgeable, up-to-date advice about all relevant activities, features and amenities which are available to enhance our guests vacation experience. Please note that the rates posted on this site are for 1-2 guests and do not include applicable taxes and fees. Additional guests, up to the maximum occupancy of 4 guests, will be charged at the rate of $30/guest/night. Children over the age of 7 years are welcome..